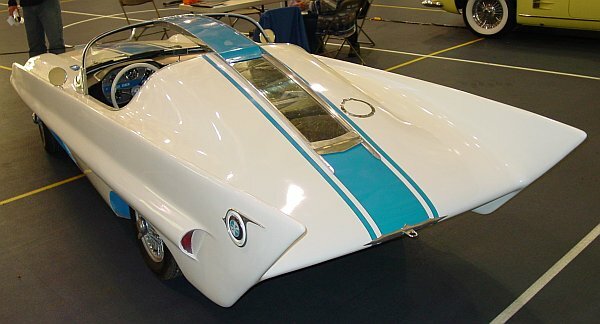 designed by Virgil Exner, jr.
At the University of Notre Dame, Virgil Exner jr. created his dream-car as master-thesis. he found a cheap base for his project, a 1950 Fiat chassis, and some mechanical parts of a Simca. 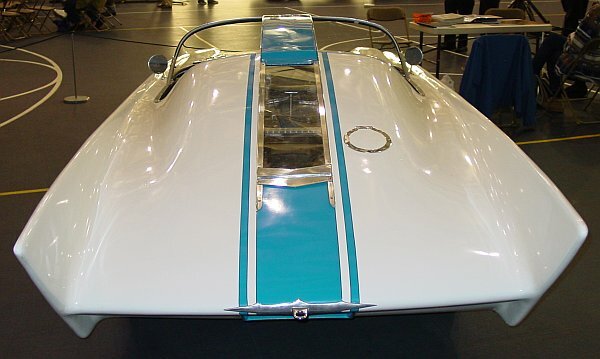 The glassfibre body was moulded by Exner himself, at the Dual-Ghia assembly plant. 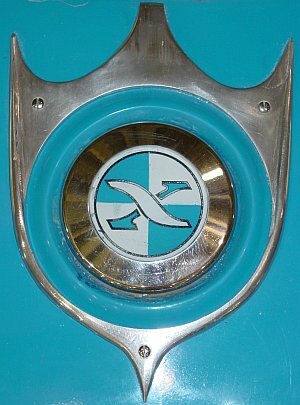 Simca showed the car at the International Motor Show of Paris of the same year. 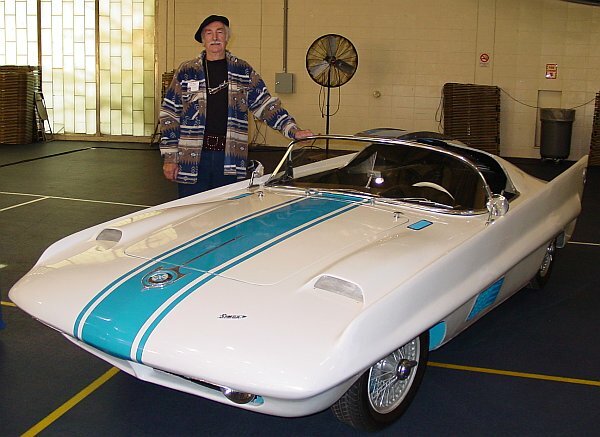 Later, the car was sold to a Chrysler dealer, and in 1965, the car was bought by Beau Hickory. adding the panoramic windscreen (coming from an Opel), and the T-Bar-roof. he did some additional work on the car, for example, the engine was replaced by a Datsun one. so he had to act, and was the owner of this prototype, again. and Mr. Hickory is searching for a new home for his Exner-Show-Car. 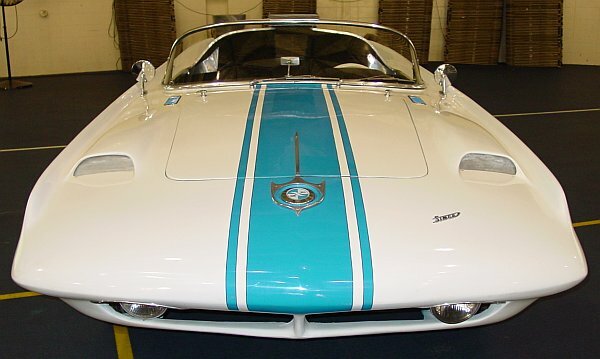 The car was listed for the Scottsdale (Arizona) auction, January 28-29, 2005. The car got a high-bid of $ 185,000.00, but didn't meet the reserve-price! These photos were taken at the "Era of Exner Event"